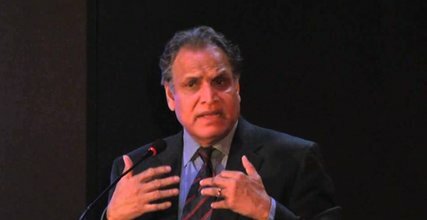 “Incidences of untouchability not only persist, they are increasing”, argued Padma Shri Prof Sukhadeo Thorat, former chair of ICSSR, while delivering the ninth Dr. Asghar Ali Engineer Memorial Lecture at the Asiatic Library in Mumbai on Saturday. The Lecture was organized by the Centre for Study of Society and Secularism and chaired by Shri Dinesh Waghmare, Secretary, Social Justice and Special Assistance Department, Govt. of Maharashtra. The lecture was titled “Why Untouchability and Atrocities Persist Despite Laws? What Government should do to Reduce Untouchability and Atrocities in the Villages in Maharashtra?” According to Prof. Thorat, untouchability still persists as it enables the upper castes to derive economic benefits out of the low status of Dalits which in turn helps them maintain their higher status in society and derive psychological satisfaction. Referring to several surveys conducted till 2016 in rural Maharashtra, Prof. Thorat said that Dalits were physically and verbally abused and not allowed access to drinking water and temples. Marriages between Dalit men and upper caste women are not tolerated, he said, and Dalits were denied access to village commons including roads. Prof Thorat said that while in some areas discrimination against dalits discontinued or was much less, e.g. in public transport, polling booths, police stations and post offices; in other areas dalits had access, but with differential treatment, Primary Health Centres, ASHA health workers, education with separate sitting arrangements in classrooms, midday meals in anganwadis; however, in certain spheres, there was complete denial of access, e.g. wells, grocery shops owned by upper castes, community dinners, cultural festivals and religious celebrations and marriage processions. Analyzing FIRs filed under the Prevent of Atrocities Act in various police stations in rural Maharashtra, Prof Thorat argued that the conviction rate was as low as 3.4% as in many cases there were delays in registration of FIRs, police officers didn’t apply appropriate sections and didn’t investigate properly though the atrocity cases have to be investigated by police officers not below the rank of DYSP. In most cases, timely compensation was not given to the survivors under the prevention of Atrocities Act and they were unable to stay in the area to give evidence. With this in view, Prof. Thorat argued that the Prevention of Atrocity law should continue without the amendments demanded by a section of Maratha community. Prof. Thorat, however, pointed out that special laws like the Prevention of Atrocities Act alone would not help reduce the menace of untouchability. What was required was the change of attitude of the members of the upper castes which required Dalits to gain economic independence from the upper castes. This could be achieved through the implementation of schemes like MNREGA, improving access of dalits to schemes like Indira Awas Yojana and providing employment in towns and cities. Referring to the measures advocated by Dr. Ambedkar, Prof Thorat suggested that Dalits should be resettled in separate larger blocks and make Pachayats responsible for elimination of untouchability. Prof Thorat argued quoting Dr. Ambedkar that for nation building, equality was a pre-condition which ensures fraternity and liberty. Lastly, condemning mob lynching, he stated that mob lynchings were against the spirit of nation.